A rescue dog that weighed just 4.5kg when it was found has struck up an unlikely friendship – with a lizard. Skye was taken in by the RSPCA after she was dumped outside an animal shelter in January 2015. 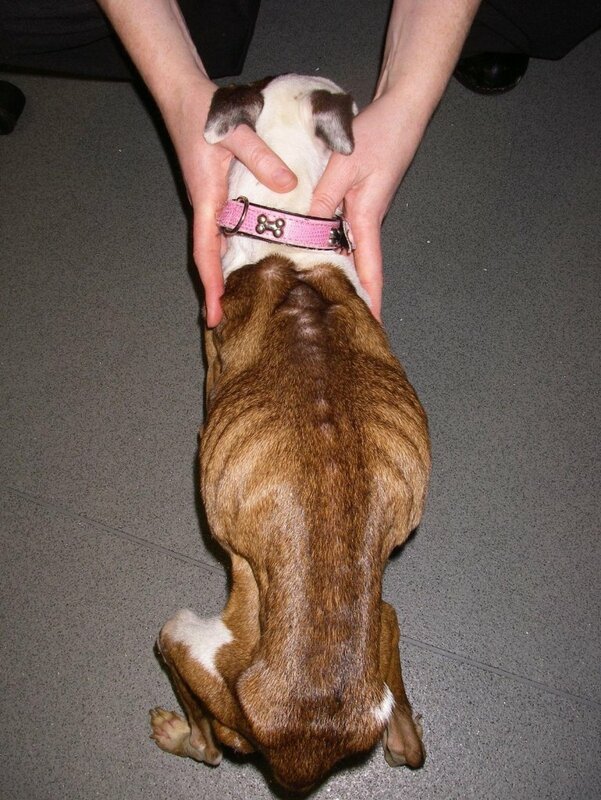 Staff said the six-year-old Staffordshire Bull Terrier was the skinniest they had ever rescued and even nicknamed her ‘X-ray dog’. Skye spent months recovering at the Woodside Animal Centre in Leicester until she was rehomed in the April of that year. New owner Hayley Wessier, 30, took Skye in and she immediately became best friends with Hayley’s pet lizard George. 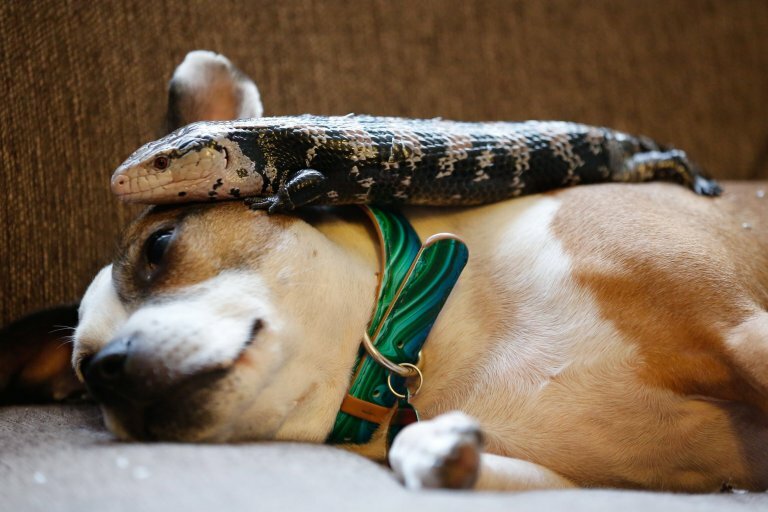 Skye and George, a blue-tongued skink, are now inseparable and even feed from the same bowl and curl up with each other on a dog blanket. 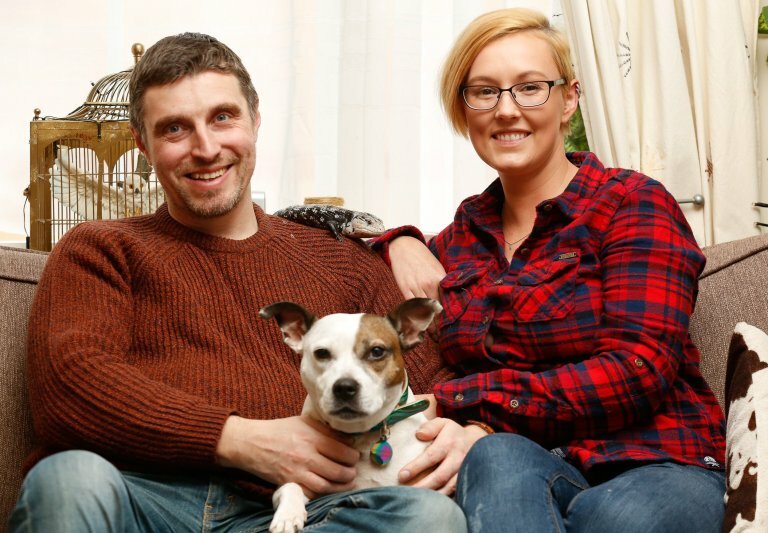 Hayley, who lives with husband James, 43, in Leicester, said: ‘We originally went to look for a guinea pig or rabbit but thought we would just have a quick look at the dogs. ‘I’ve always wanted another dog because I had a staff when I was younger. That’s when we saw Skye. ‘She just came to the bars and was all sweet and little – you don’t expect a staff to be her size, she was about the third of the size of a normal staff. ‘She rolled over so her belly was against the bars for us to stroke her and we kind of just fell in love. ‘She needed love and when we walked home she struggled and was tired. 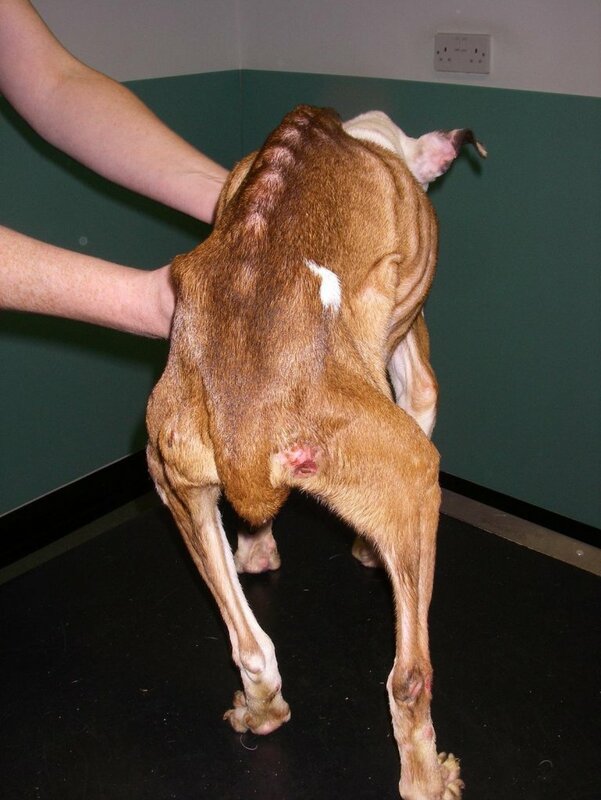 We realised she hadn’t long walks so her muscles weren’t used to it, so we had to help her build her muscles up. ‘We’ve had her now for nearly four years now – she now weights 13.5kg and is nice and healthy.’ Hayley added: ‘Skye took to George straight away, she loves anything and everything. She will sit in the garden and watch the birds and is interested in other animals.’ ‘They can be found sunbathing together in the garden in the summer and even eat from the same bowl. They’re best friends and go everywhere together. ‘I can’t imagine our lives without them.’ The RSPCA says Skye is one of the thousands of dogs it rescues, rehabilitates and rehomes every year.